We are proud of the products and services we provide here at SCIS. If you would like more information about our products. If you would like more information about any of the products or services we offer, or would like a trial account to use our services at no cost for 90 days, please use the form to the right and one of our customer service representatives will contact you. 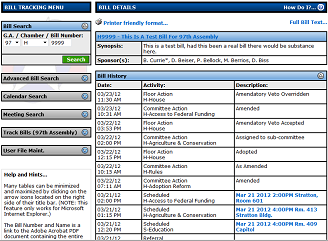 Keep track of all Illinois Legislation activity for the current General Assembly and develop your own user files. 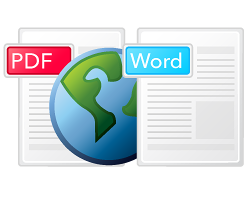 Files can be organized by company, employee, subject, topic, sponsor, committee or any other category you choose. 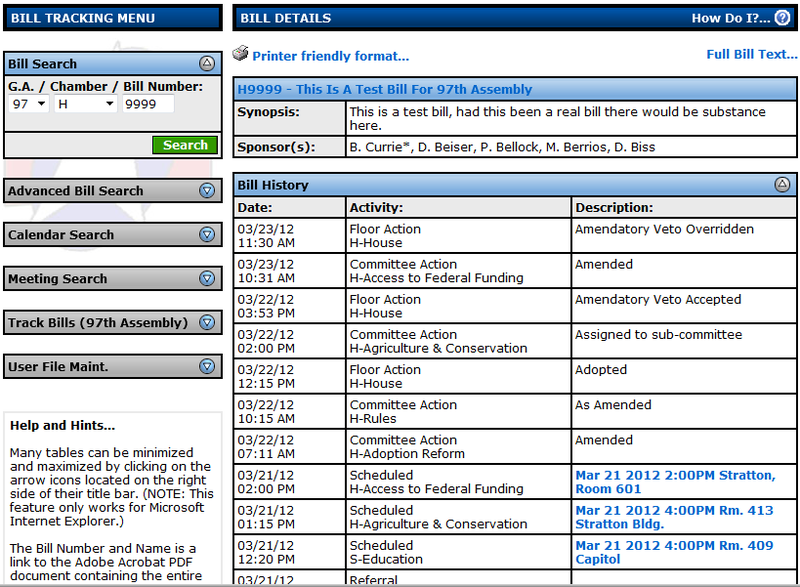 Also have access to the previous Assemblies legislation and related information. Daily report in easy-to-follow formats (PDF and MS Word) is issued every day the General Assembly meets and covers all of its substantive actions, including bill introductions, committee referrals, schedules and actions, floor actions in both chambers. Our daily reports are highly regarded by our subscribers for reliability and timely service. We are the oldest privately-owned state legislative reporting service in Illinois, and we think we are the best around. We work hard every day to maintain our reputation. *Click the graphic or here for a sample report.